High blood pressure (hypertension), is the consistent elevation in the pressure inside the blood vessels which can be the result of another specific disease process (secondary hypertension), or can occur on its own (primary or idiopathic). It rarely causes any symptoms but can cause significant damage to various organs if left untreated. For this reason it is often called "The silent killer" and this is why routine blood pressure checks are highly recommended. Often high blood pressure can be associated with specific stressful situations only (such as visiting the doctor!) This is not reflective of a person's blood pressure variation throughout a normal day and sometimes treatment is not required. 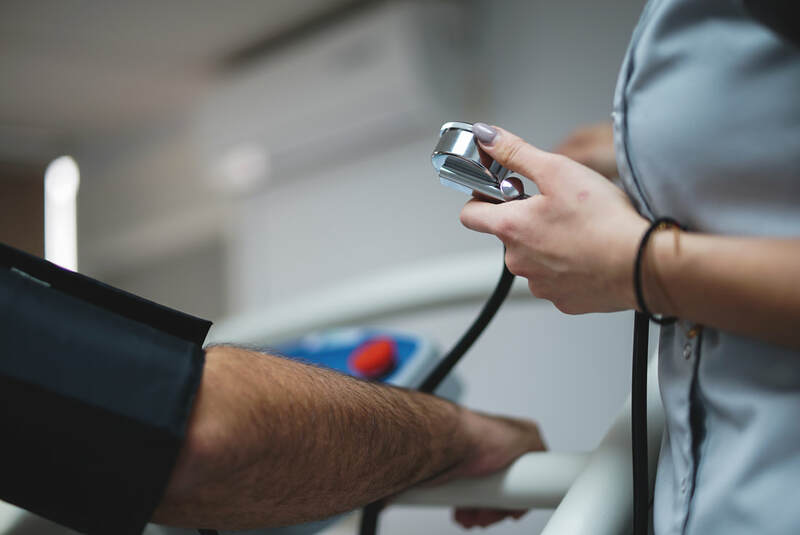 In these cases measuring the blood pressure for 24 hours with special equipment (blood pressure monitor) can help ascertain a patient's true blood pressure variation throughout the day and guide treatment.